Get all three books about these great Saints of the Church! Learn how to put the "Little Way" into practice in daily life directly from the sister of the Little Flower. Also, learn about her two holy parents and how they managed to raise so many saintly children. This is information everyone needs to know! Both Luise Martin and his wife, Zelie, were canonized as saints (October 2015), becoming the first spouses in the church's history to be canonized as a couple. These books include excerpts from letters they wrote; and quotes from those who knew them. In between letters and quotes; you have commentary by Celine Martin. Celine Martin, also known as Sister Genevieve of the Holy Face, was born in 1869 at France as the seventh daughter of the Martin family. 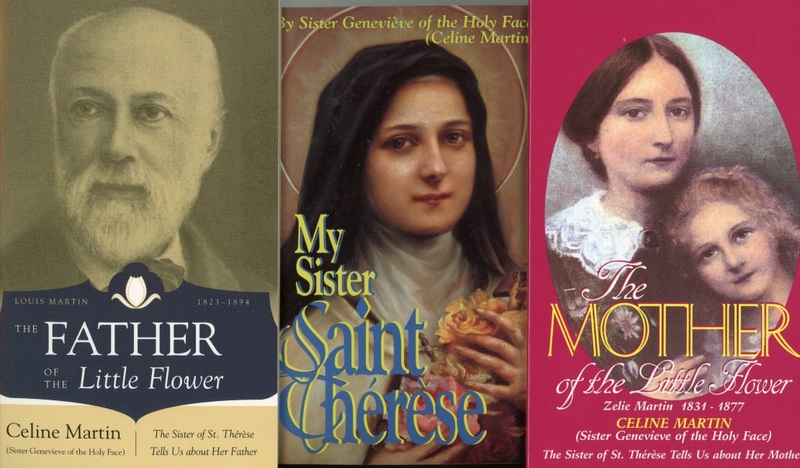 Author of these three little books the sister of St. Thérèse of Lisieux and daughter of Zelie and Louis Martin herself became a Carmelite nun in 1894. She was instrumental in spreading her sister's message.